Kitchen/Breakfast Room: light and spacious contemporary kitchen, well-equipped with a Leisure electric range cooker with a gas hob, integral dishwasher and an integral fridge/freezer. There's a dining table and chairs to comfortably seat 6 people and French doors opening onto the garden. Utility/Boot Room: useful room with a washing machine, tumble dryer, sink, extra cupboards and a microwave. There is plenty of space for coats and boots and a door to the enclosed back garden. Sitting Room: decorated in a contemporary coastal style with a brick fireplace housing a gas coal-effect stove, two sofas, coffee table, selection of toys and games and a large flatscreen freeview TV with Amazon Prime Video and DVD player. There is the advantage of free Wifi available in the house (for reasonable levels of use). Seawards is suitable for young children and a travel cot, high chair and a bed-guard (for the lower bunk bed) are available if required. Please ask at time of booking for these to be left out for you. All the bedrooms are well presented and have comfortable tempur mattresses with duck feather and down duvets (all season adjustable). Should you require hypo-allergenic bedding, please confirm upon booking. Bedroom 1: attractive room overlooking the garden with a king-size bed, bedside tables and lamps, built-in wardobe and a chest of drawers. En-suite shower room: with walk-in shower, hand basin, heated towel rail and WC. Bedroom 2: another lovely room with a king-size bed, bedside tables and lamps, built-in wardrobe and a chest of drawers. Bedroom 3: decorated in a nautical style with full-size bunk beds and a bedside table and lamp. The rear garden is fully enclosed with a high fence and is mainly lawned. There is a paved area with teak dining table and chairs, plus additional seating - all with cushions - and a charcoal barbecue. 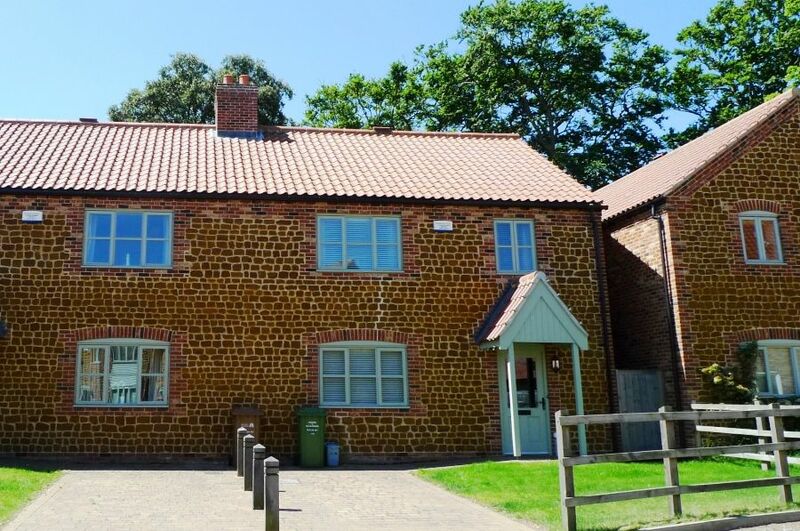 It is only minutes walk down Sea Lane to reach the gorgeous sandy beach at old Hunstanton.